We were thrilled to receive an unprecedented number of entries for our 2011 contests. For our children’s art contest, we received 520 entries from 20 countries around the world! We’ve been so inspired by the imagination and creativity of the paintings, drawings, sculptures, and photographs we’ve received. Our photo contests also received 60+ images and amazing shots! Right before the deadline we received several hundred more entries. We downloaded, sized, and labeled each piece of art. We did get all the entries into the galleries, but we feel we need more time to go carefully through each piece of art and photograph. To that end, we have postponed announcing the winners of both contests until January 5th, 2012. In the meantime, please check that your child’s artwork or your photographs are in the galleries. If you don’t see your entry there, let us know right away. By clicking on the left and right arrows, you will easily see all the entries or can pop a slideshow. The artwork and photography will be permanent “exhibits” on our site. 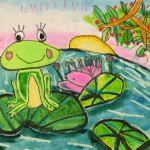 We have created a 2012 Kids’ Art Calendar from the winning artwork from last year and would like to create one for 2013 during next year, so also let us know if we have permission use your child’s artwork. If you’d like to purchase the calendar or any of our Frogs Are Green products, that would sure help us pay for all those wristbands and postage! 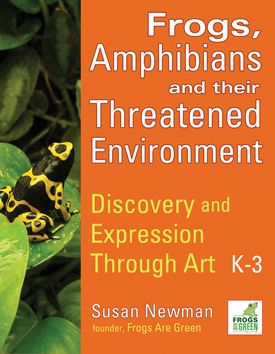 Proceeds go to environmental and amphibian conservation organizations. Thank you so much for making this year’s contests so exciting, we’re so happy to know you care. Also, if you’d like to get involved, let us know what interests you and how you wish to help. Feel free to email us with your ideas! 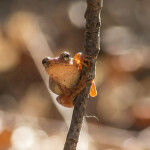 Sign up for our monthly email in the sidebar to the right and receive our FREE poster download of a red-eyed tree frog! 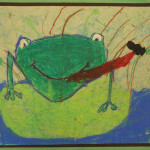 This entry was posted in Contests, Frogs Are Green contests, Frogs Are Green Photo Contests, Uncategorized and tagged 2011 frog photo contests, 2011 kids art contest, 2011 photography contest, 2012 kids art calendar, backyard frogs, environmental causes for amphibians, frogs and toads, Frogs Are Green children's art contest 2011, Frogs Are Green contests, Frogs Are Green photo contest 2011, frogs in the wild, kids 3D frog sculpture, kids art contest usa, kids art from australia, kids art from China, kids art from europe, kids art from middle east, kids art from world, kids drawing and painting, plasticine sculptures by kids. Bookmark the permalink. Seasons Greetings, Welcome 2012 & Remember to Think Green!